*Excluding repairs. Cannot be combined with any other offer. Must present coupon at time of service. Limited Time Offer. *Cannot be combined with any other offer. Must present coupon at time of service. Limited Time Offer. Not applicable to prior installations. Please contact for more details. Save up to $1650 in rebates or take advantage of some limited time financing offers. Carrier Cool Cash rebates range from $0-$1650 depending on equipment purchased. Contact Conditioned Air for complete program eligibility, dates, details, restrictions, and all other financing options. Subject to credit approval. Additional terms and conditions may apply. Cannot be combined with any other offer. Must present coupon at time of service. Limited Time Offer. We're not satisfied until you are, so we've put together a comprehensive package of customer benefits that stand out from the competition. 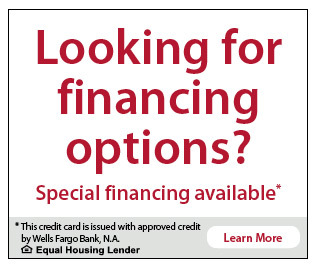 For example, special financing with approved credit is available on new heating and cooling systems. Manufacturer rebates are often available on select products to further ease the cost of an upgrade. You can also be eligible for federal tax credits when you upgrade to energy efficient geothermal systems. At Conditioned Air, we only sell quality systems made by top-rated companies and backed by industry-leading warranties. We have thousands of satisfied clients in the Sugar Land, River Oaks, and Bellaire, TX, areas, and our team would love to add your home or business to our family of customers. Our reputation is everything, so we always go the extra mile to get the job done right. Contact us today to lock in your special pricing and experience the Conditioned Air difference.